Since 2015, Troy Homes has designed and steadily built an impressive portfolio of exceptional homes to suit every individual and their needs – with each development offering its own unique style in-keeping with the local area. Our superbly designed homes highlight 21st century living at its finest – with open plan spaces for entertaining and bedrooms maximising every inch of space through forward-thinking storage solutions. They really have to be seen to get the full experience and the success of our numerous show homes is a true testament to the work of our expert team. 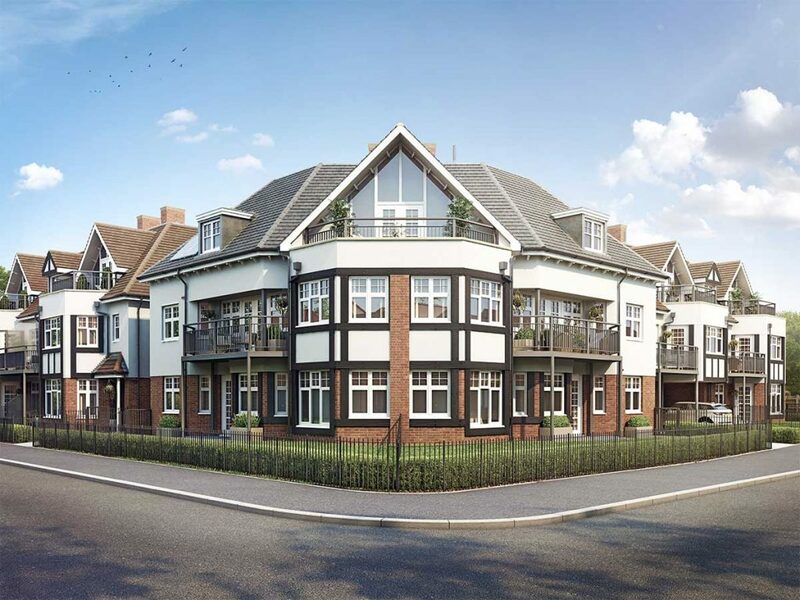 On the 27th April 2019, we will be inviting house hunters to the exclusive show home launch for our latest development: Burns Court at Gidea Park. We have had lots of interest in this stunning collection of 14 two-bedroom and two-bed plus study apartments – two of which have already been reserved! So, why not join us for a free glass of bubbly and a look around? The latest addition to our portfolio, Burns Court is perfectly positioned in a stylish and secluded enclave in the affluent neighbourhood of Gidea Park. With prices starting at £475,000, the apartments offer both spacious modern layouts and outstanding specifications – as well as a relaxed atmosphere and excellent local amenities close by. An idyllic place for commuters to set up home, Burns Court has superb transport links to central London (Liverpool Street station is only 30 minutes away). When it comes to jetting off for travel further afield, the development also boasts excellent connections – with Gatwick easily reachable in just under an hour and both London Southend airport and Stansted airport only 30 miles away. Following an outstanding 2018 for Troy Homes, we’re now looking forward to a successful year ahead – with a selection of stunning developments due to launch across the South East. So, if you’re looking to buy a new home this year, Troy Homes is a great place to start. Join us on the 27th April 2019 for the launch of our Gidea Park show home (and your free glass of bubbly) and find out why for yourself! Visit gideapark.troyhomes.co.uk to find out more about this latest development or register your interest today for an exclusive invite to our show home launch event.